Kenro, the photographic equipment distributor, has announced the availability of Nanguang LED lights in the UK and Ireland. 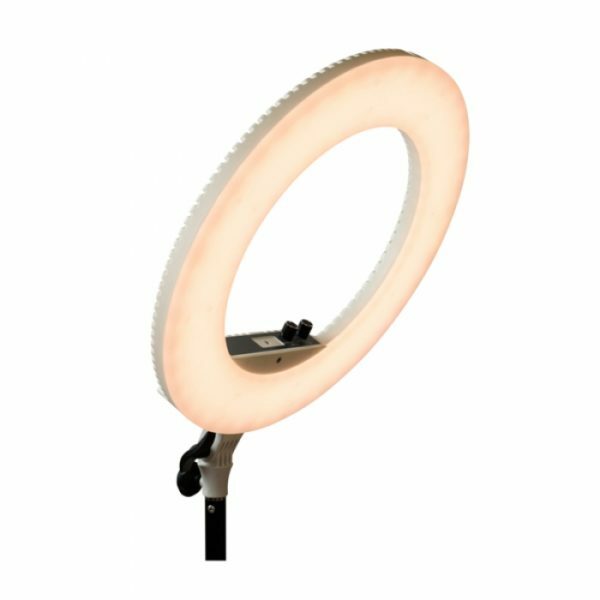 The lights include the CNR-480C, a 48W bi-colour ring light that mounts on a stand and lets you hold a smartphone, camera or mirror in the centre, depending on whether you want to use it as a selfie light, a video lamp for live streams or interviews or as a light for make-up artists. It can also be used for still life photography including macro work. The recommended retail price is £227.94 including VAT. Visit the Nanguang CNR480C product page for more information. 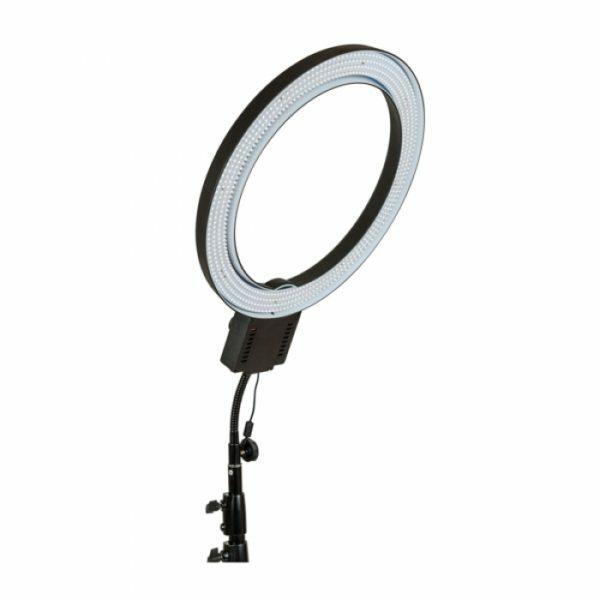 Also available is the CN-R640, a larger 38.4W ring light which mounts on a flexible arm. It puts out daylight-balanced 5600K light and has stepless dimming control. According to the manufacturer, it is “ideal for digital product photography” and the flexible arm lets you attach it to other studio equipment. The price is £263.94 including VAT. Visit the Nanguang CN-R640 product page for more details. If ring lights aren’t your thing, Kenro is also carrying NanGuang Fresnel lights. The CN60F, CN100F and CN200F are all passively air-cooled, making them silent and suitable for both photography and video applications. What’s especially innovative about these lights, though, is you can control the power and beam angle wirelessly using a smartphone app or a dedicated 2.4GHz remote. The CN60F runs from the mains via a 12–18V DC transformer. 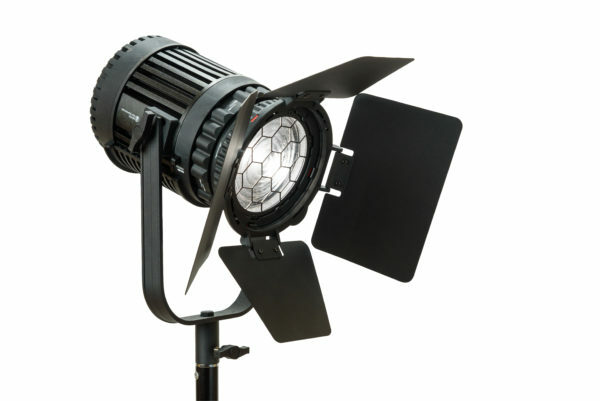 The fresnel allows a beam angle that varies from a wide 55° to a narrow 12°, and power output is steplessly adjustable from 0–100%. It has a power of 60W, putting out 8448 lumens. 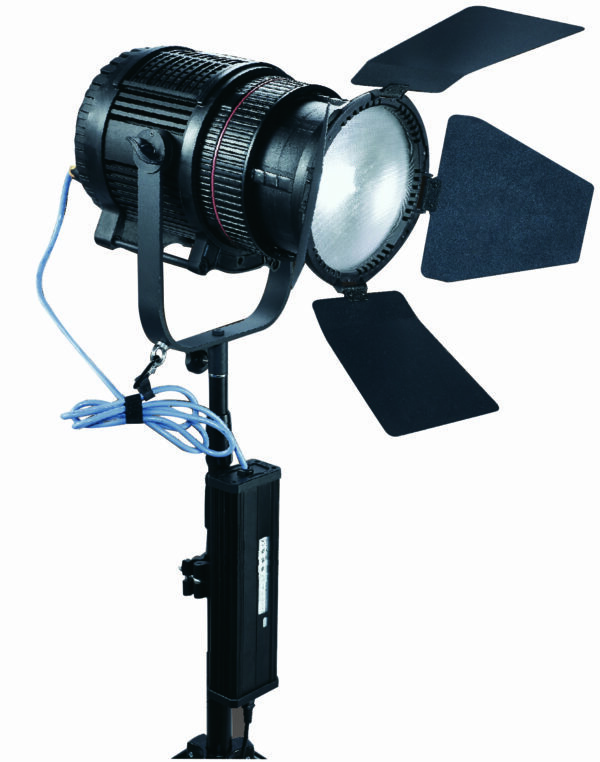 This unit is aimed at the professionals, with a recommended retail price is £995.94, which gets you the light itself, a padded case, light stand bracket, barn doors, fresnel lens, colour filters and AC adapter. Visit the Nanguang CN60F product page for further information. The CN100F and CN200F are more powerful (100W and 200W, respectively) and add DMX support. The CN100F has a 10–65° beam range and the CN200F a 12–35mm range, with respective output of 8448 lm and 11,923 lm. These top-end lights will set you back £995.94 and £1,620 including VAT. For more details, visit the Kenro web site.